This September marks the 15th anniversary of the first Roomba — but in spite of the device’s massive popularity, no companies have managed to successfully follow in its footsteps with another mainstream home robot. The Tertill, however, could be the product to change that, drawing on a number of the Roomba’s lessons and applying to to an outdoor setting for regular garden maintenance using a small, built-in weed whacker. It’s no coincidence that the device shares a number of characteristics with the robot vacuum. A number of employees are ex-iRobot employees, including Franklin’s CTO Joe Jones, iRobot’s first full-time hire, who played a key role in the Roomba’s creation. According to the company, however, the startup settled on the familiar hock puck form factor because it just made the most sense for the task at hand. 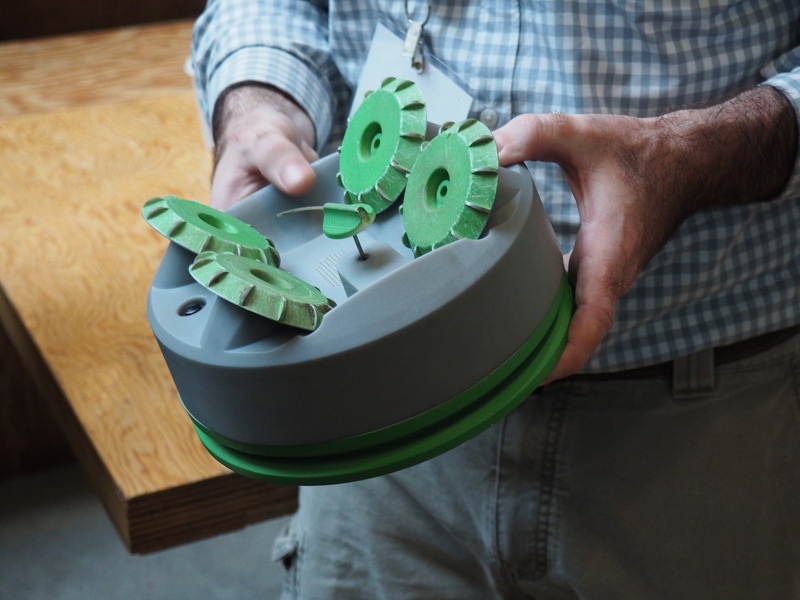 The circular shape, along with built-in sensors, help the robot avoid contact with useful plants taller than an inch — the company is also shipping the robot with small metal guards to keep it from bumping into younger plants. The Tertill is designed to spend its entire existence outside, drawing power through the large solar panel on its back to fuel the two or so hours a day that it does its routine garden maintenance. Like a weed whacker, the Tertill is more about keeping weeds under control, rather than uprooting them — that would require a lot more sophistication that a $200 robot can provide. Though one of upshot to the product’s slated wheels is that they both till the social and damage smaller weeds while they’re still young.